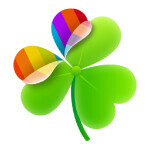 GO Launcher EX is one of the better and certainly more popular alternative launcher available in the Android Market. The trouble is that it is only available on Android phones, and as we're constantly told (if not actually shown), we are entering the era of the Android tablet. Android tablets are everywhere, and an increasing number are running Android 3.x+ with high res screens. 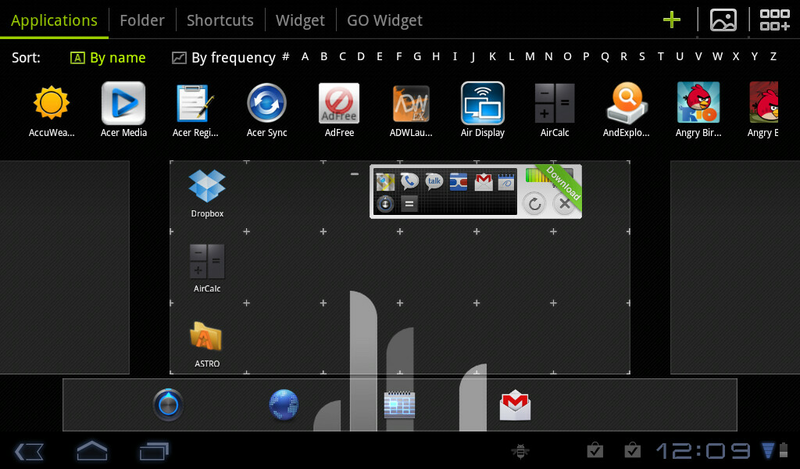 With that in mind, the GO Launcher Team has put together a version of GO Launcher for Android tablets. It will be called GO Launcher HD (which may not be the best name given that more and more phones are shipping with HD screens), and it is currently in beta. The app is quite smooth, but doesn't really offer the array of customizations or visual perks (ie. transition animations) that we've come to expect from an alternative launcher. The biggest features it offers are a persistent dock bar and an interesting screen layout for adding app shortcuts or widgets to home screens. Of course, it is still in beta so perhaps we'll see more features as the app matures. If you want to give GO Launcher HD beta a try, just head to the source for a download link. GO Launcher is pretty great. i'm using it on my Razr until ICS comes out. I just downloaded it and installed in my samsung galaxy tab 7.7, it's pretty awesome. I immediately set it as my default launcher it's really great for big and HD screens. Can't you just use launcher pro on your tablet ? 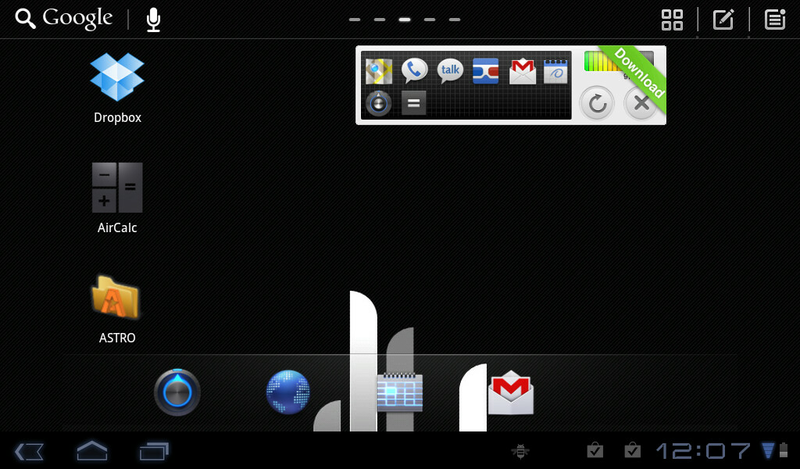 this new go launcher hd works great in my tab and really optimized for tablets. I used launcher pro also but good only for smartphones, i uninstallled it. I think this go launcher hd is like an updated version of touchwiz ux but better in usability and performance. Try to use it.